The Tuscan town of Montalcino is perched high upon a hill. Montalcino is a Medieval hilltop town in Tuscany, Italy, best known for Brunello di Montalcino, a rich, full-bodied and age-worthy wine made from 100% Sangiovese Grosso. In 1986, Brunello di Montalcino was the first Italian wine to receive the coveted DOCG status (Denomination of Controlled and Guaranteed Origin), the highest classification of Italian wines. SILVIO NARDI'S YOUNGEST DAUGHTER, EMILIA NARDI, IS NOW RUNNING THE WINERY. In 1950 the late Silvio Nardi was the first "foreigner" (he was Italian, but from Umbria) to invest in Montalcino, then a small, rural village in Tuscany. Since 1990 the winery has been run by Silvio's youngest daughter (of eight children), Emilia Nardi, whose focus has been on vineyard development and highlighting the terroir of the wines. Emilia's nephew Emanuele Nardi is the winemaker. The 36 vineyard plots of Tenute Silvio Nardi are on three separate estates, one of which is the esteemed Manachiara estate, purchased by Silvio in 1962. As far as the word on the 2012 vintage, wine critic James Suckling, who tasted about 100 of them in a blind tasting in Tuscany, was impressed with their "beautiful aromas, vibrant fruit, lively acidity, and ultra-fine tannins." He said that "fans of Brunello di Montalcino are in for a treat with the 2012 vintage. Find the wine at wine-searcher.com or at your favorite restaurant. Pair the wine with Emilia's Beef Short Ribs (below). Read more about Emilia and the winery at Grape Collective. Emilia Nardi says that when she needs to relax, her "drug of choice" is cooking. 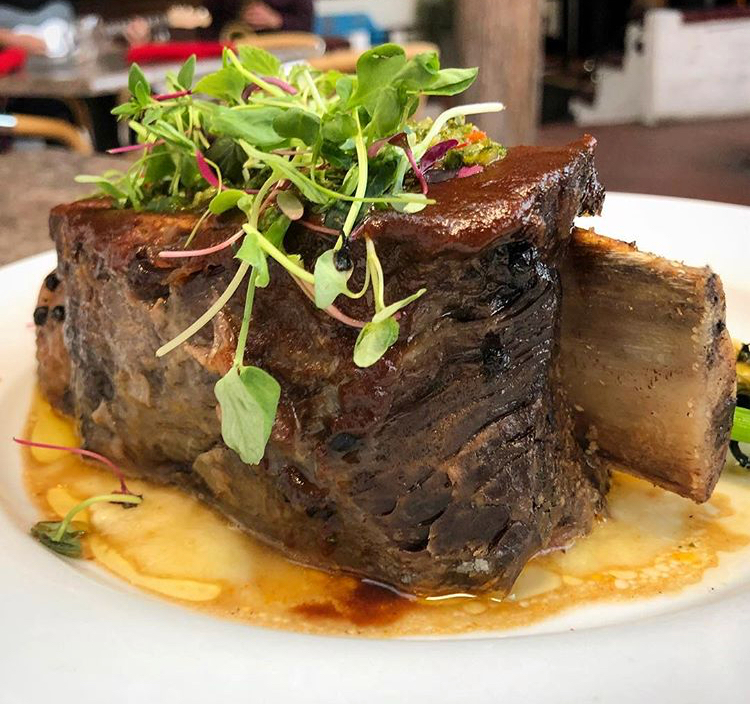 Click here for The Wine Chef's adapted recipe of Emilia's Beef Short Ribs, to be enjoyed with a glass of Manachiara Brunello Tenute Nardi. WARNING: you may become addicted to cooking after making this dish! In addition to the special Manachiara, all of the Tenute Silvio Tardi Brunello di Montalcinos are worth seeking out, especially the older vintages. Both the 1979 and the 1968 Tenute Silvio Nardi Brunellos were still full of vibrant fruit flavors and lively acidity with notes of dried figs, sun-baked leather, tobacco and hazelnuts. Absolutely delicious!